We have seen plenty of Kickstarter projects coming by, some more successful than other and after the success story of the Omate True Smart Watch which was able to pledge over 1 million USD, Kickstarter seems to have found a new favorite project. 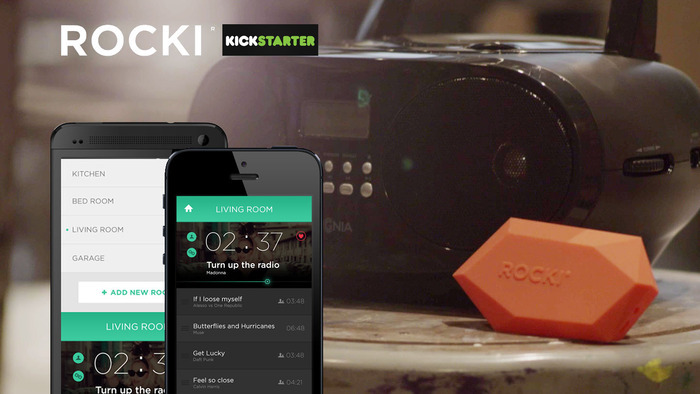 Launched less than a week ago, ROCKI, a Wifi Music System, has already surpassed its funding goal of 50.000 USD and is currently backed by 1278 backers for an amount of 107.167 USD. This little colored box plugs directly to your speaker’s 3.5mm audio jack and enables any speaker to become wireless. On top of that, it comes with an app that lets you stream music to it over Wi-Fi. 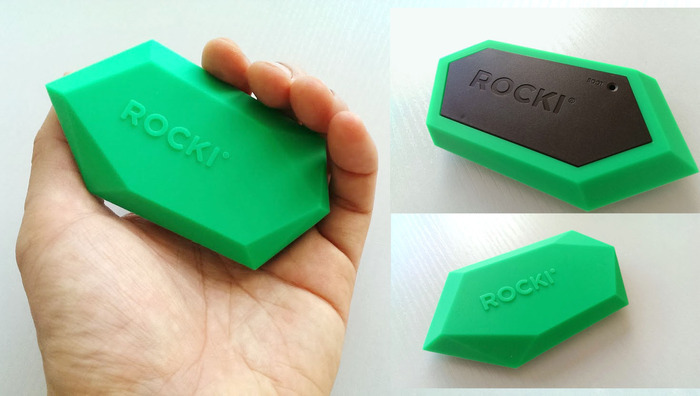 Because it uses Wifi (instead of Bluetooth), the ROCKI Wifi System is not limited by walls and can bridge much larger distances than Bluetooth. 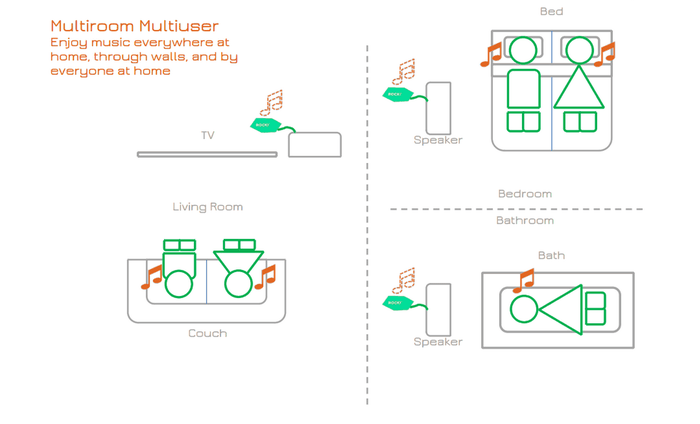 This way it can be used with multiple speakers in multiple rooms. Covered by a silicone outer shell, the ROCKI looks fresh and comes in 6 different colors: ROCKI Green, Paint It Black, Submarine Yellow, Hot Chilli Peppers Red, Pink Punk Pink and finally Deep Purple. 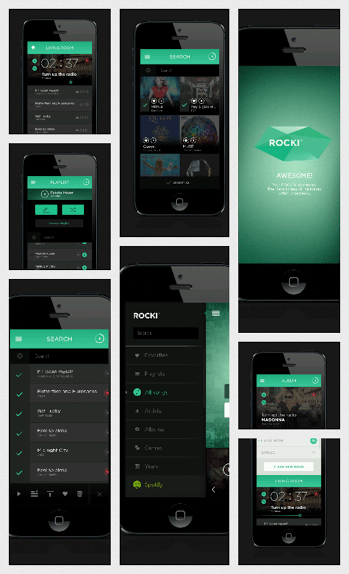 Using the app, you can send songs to the ROCKI and even friends and family will be able to queue their favorite tracks. Want to see what the fuzz is all about? Head over to the Kickstarter page and support ROCKI.